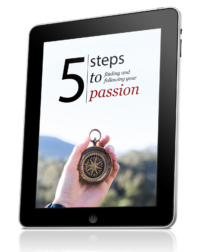 What does it take to get paid to do what you love, to follow your passion? I know, because I was one of those people. Not everyone is cut out to leave the 9-to-5 environment, and that’s okay, as long as they’re happy. But if you’re frustrated, lost, and confused about how to get paid to do what you love, then read on. It’s no longer enough to throw a blog up and wait for fame and fortune (was it ever?). You have to be specific, strategic, and willing to take action even when things look grim. I’ve spent half a decade doing this, and only in the last few years have things started making sense. With that said, do you make any of the common mistakes below? How many people do you see waiting for something big to happen so they can finally start living? “If only I could find my passion, win the lottery, get rid of my fear, or <insert excuse here>, I’d be on my way,” they say. We all have excuses. I do, too. The difference is that some people take action despite them, and some … don’t. In which camp are you? In which camp do you want to be? What we forget is that excuses are ideas in our heads. They are figments of your imagination, catastrophic “what if” scenarios and worries of a future that exists only in your head. You can’t get paid to talk about your cat, but you can get paid to solve problems cat owners have. “Hold on, but that’s not what I want to do. I just want to do what I love and have no responsibilities whatsoever,” you may hear some say. And yes, that’s all fine and good, but you probably won’t make a living doing that. If you want someone to pay you, you have to solve a problem, or make their life better in some way. You have to find that sweet spot between what you want to do and what others are willing to pay for. Sometimes that means doing work you aren’t 100% passionate about, but then again, you have to start somewhere. Are you waiting for someone to “save” you? You can start your journey today toward getting paid to do what you love. If you want to write, then write. You can get a freelance gig within 24 hours. If you want to build an online business teaching others how to improve their lives, you can take the first step today. Whatever you want to do, you can get started now, and if you don’t know how, you can find someone who does. When you have the proper mindset, you come up with solutions, not excuses. Mindset is often thrown to the wayside, but that’s a big no-no. Internal resistance is one of the biggest reasons why people give up. It’s the lizard brain in action. When I built my first successful website in 2009, after 2-3 years of failing, the thing that changed was my mindset. You may not become an overnight success, but you cannot fail unless you quit. Last, but definitely not least, you have to be willing to move forward even when it’s uncomfortable. 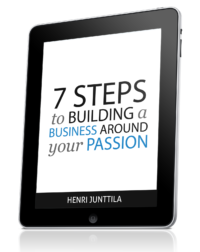 Building your own business is one of the fastest paths to personal growth. You constantly have to push your boundaries, and you know when you’re slacking off, because the bills aren’t getting paid. If you want comfort and stability (assuming it exists), you won’t have a lot of freedom, flexibility, and fun. And there is, but it requires courage. If you want to get paid to do work you love, you have to be willing to be uncomfortable, uncertain, and scared. You have to find a strong reason why, because that is what will get you through the rough patches. And you have to be willing to start before you’re ready. Like you, while working a for a company that turned out to be a poor fit, I thought that there had to be something better. What a lot of people underestimate when starting to work for themselves, be it blogging, freelancing, or consulting, is that it’s a lot of work and that success doesn’t just happen because you have a website with a couple of blog posts on it. The consistent advice that I give to my clients is to outsource work so that they can focus on the important part of the business, and second let the freelancer do what they were hired to do, otherwise you spend more time micromanaging which often leads to a very negative experience for both parties. The reality is that running a business is a constant learning experience. If you give up at the first sign of a challenge than you’re really missing out. What happens when you gain experience and learn from your mistakes, is you get strategic. You learn what works and what doesn’t, and sometimes you just have to jump in to figure all that out. Although it certainly helps if you have a mentor or coach on your side. One mistake people make (and I don’t know if this applies to you) is that they think they have to quit their job to start doing their side-thing. The truth is that you can often do something small today even if you’re working. It’s tough when you’re in that comfortable spot where it’s not good but not bad. I mean, I’m hoping I can kickstart a side-business while still employed – rather than doing something drastic. The problem is I’ve been working (slowly) on this side business for a year with little success…. I’ve been comfortable for long stretches of time, and while I don’t like stressing over goals, I also don’t like standing still. If what you’re doing isn’t working, change it. Maybe get someone who has a business you want to build and get some feedback? Just what I needed today! It is so timely. I have lots of excuses and now that the opportunity is mine to take, fear again has overshadowed me. But, this line strikes me most and believe it or not, encouraged me right at this moment to proceed : “And you have to be willing to start before you’re ready. : Wow! it blew my mind. It’s like a go signal from God because I prayed for this job. I am pessimistic so my mind is full of what ifs, what if I can’t do it, what if I’m not ready, etc. And preparation is my assurance but it’s never always enough until you are in the actual battlefield. But you just changed my mindset. 🙂 I agree with this also, “Your attitude determines your altitude.” It’s attitude that takes you where you want to go and what you want to reach. You’re not alone, Zel. Everyone has these same thoughts, at least every person that cares about doing a good job. The thing is that your mind makes it seem scarier than it is. Once you’re out there doing stuff, it’ll be much easier, because you can deal with things that come up in the present moment. I love the Zig Ziglar quote, Henri. Attitude isn’t everything but it’s a MAJOR step in the right direction. Thanks for posting the reminder. Sometimes we need to be reminded to keep our game up and to know exactly what we want out of life. I think having the mindset where you’re OK with failing (or succeeding) and taking action every day are key. I started my blog with absolutely no knowledge of how to do it. I had no budget and a full time job (which I still have). I’ve taught myself everything along the way, making many mistakes and learning from them. While it definitely has not been the easy way to do it, for me it’s been the best way because of all the things I’ve learned about the online world and about myself. I’m starting to see how the journey is changing me for the better from the person I was “supposed” to be (according to the rules of Corporate America) to the real me, connected to my soul and expressing myself (and not really caring what people think – which is a revelation for me). Whether I turn it into a full time income (my goal) or not, I intend to continue. Couldn’t agree with you more, Paige. Everything you just said is true. Thank you for the words, they came at the right time for me. I’ve been saying ‘damn it, I can do this’ and then your email came. Perfect! No more excuses to get in the way. I love that sentence as well. I don’t remember where I heard it the first time, but it really got me thinking. Hello, I’m just a student still in high school. Lots of my friends are getting a job for upcoming summer holidays in December (Australia). What can I do at 16? When a summer job isn’t available, what ways are there for someone my age to make an income and become independent? I’m not an expert on how to earn an income when you’re under 18, so I’m not going to suggest anything I’m not confident in. Your options are clearly limited. If anyone else wants to chime in that knows more, feel free to do so. Good info. Its so true about internal factors contributing to stagnation. Whenever I feel this way I acknowledge my feeling and figure out an approach to overcome it. I believe my main problem relies on how to charge for doing the stuff I love even if it IS resolving other people’s problems. I have an IT background so I can help/fix/teach how to do a lot of technical stuff, whether is fixing a computer, creating a site, deploying a server or just installing a wordpress plugin. The problem is, how to CHARGE for each thing, as I normally tend to be so open to help but I fail at “yeah, for that… my time is valued in blah blah” I just can’t do that… at least not yet. I was thinking in putting up a “Hire Me” section and maybe throw in some basic stuff in there and see what happens. Could even specify an amount for each task and just maaybe not feeling guilty for charging for my time. Many people have trouble charging what they are really worth, so that’s very normal, and you’ll get over it as you take action. You may want to focus on just one thing that you enjoy doing and know people have trouble with, then expand as you get more business. Also, look for people that are already doing what you want to do. Ask them questions, and learn from what they’re doing right. Don’t re-invent the wheel.